The famous Microgaming company is launching another new slot this month. The Football Star online slot will be released on the 8th of May to become the second brand new exciting game next to the Cool Wolf game. Just as the latter one, the Football Star will be available on the HTML5, Flash, Quickfire and download platforms right after the release. So the Microgaming fans will be able to play it no matter what platform they prefer or what device they have. The football theme was not chosen randomly. It was Microgaming’s idea to appeal to the millions of fans this game has worldwide and to spice things up in anticipation of this year’s championship in Brazil. So now the fans of football will get to enjoy their favorite sports even when playing online slots! The Football Star will offer excellent graphics and great animations and be a five-reel and 243 ways-to-win slot. 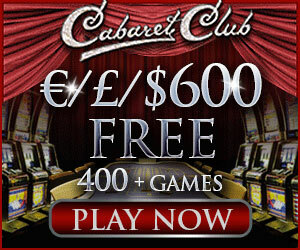 The lucky gamblers will have many chances to win up to 25 free spins with multiplier by ten. There is some impressive jackpot at stake too of course! The famous Microgaming features including the Stacked Wilds and Rolling Reels will both be available within the free spins as well as the base game. Plus, they will offer a new feature called the Striking Wild that would occur randomly as the base game proceeds striking the entire reel wild when it does.